A revolutionary idea that has gone from unheard of when Friends opened in 1992, to the norm when looking at Pediatric Cancer centers around the country. 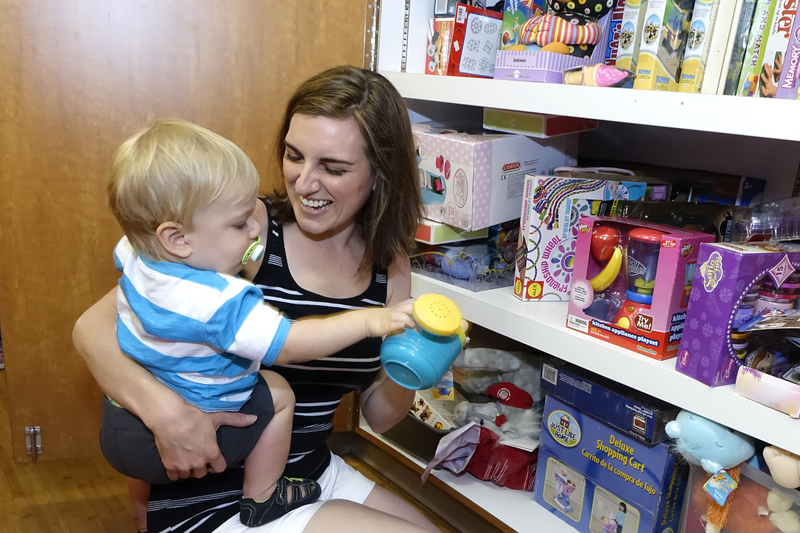 Friends regularly crams as many toys as will fit in their designated closets at each of the local treatment centers. The kids are constantly surprised with new items in the closets that appeal to boys, girls and a variety of ages. These toys may seem superfluous, but they serve a very distinct purpose. Not only does it create a diversion from the long and painful treatments, it helps the nurses and doctors in motivating the child to cooperate. Instead of dreading the doctor, or seeing the nurses in a negative light, the kids get rewarded for their courage after a big shot or painful procedure. The parents came to notice that on the way to the treatment center, the kids would talk more about what's going to be in the closet than the upcoming treatment. This simple idea has affected the kids, of course, but has also positively impacted the nurses, doctors, and parents as well.